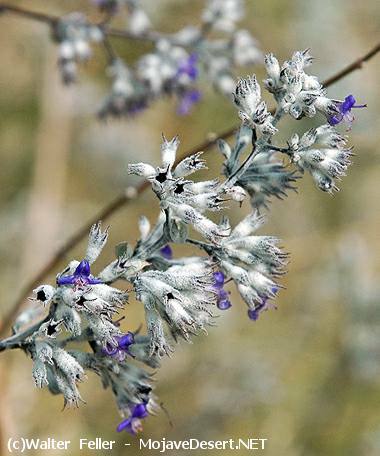 3-9' tall shrub produces 1/4" long, fragrant lavender-colored flowers in bracted clusters. Prefers sandy canyons and washes below 3,000' in the eastern and southern Mojave Desert. More common in deserts to the south. Attractive to both bees and hummingbirds.